Ghost Recon: Wildlands is an upcoming video game by Ubisoft, the French video game powerhouse behind the Assassin’s Creed series and last year’s massively popular The Division. 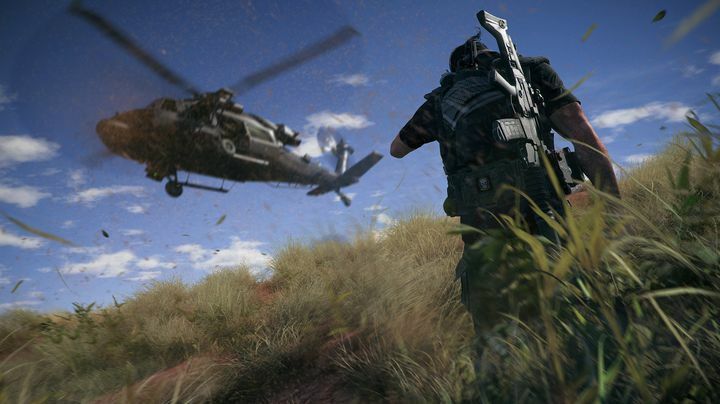 And the company is now gearing up to release Ghost Recon: Wildlands this month, a military shooter that could end up being as popular as last year’s post-apocalyptic New York romp was. Actually, the game’s beta version was downloaded more than 6 million times, showing interest in the upcoming tactical shooter is very high, although not everyone has a nice opinion about Ubisoft’s latest game though. This is because the South American nation of Bolivia has filed a formal complaint at the French embassy in the country according to Reuters, even threatening to take legal action, presumably against game makers Ubisoft. “We have the standing to do it (take legal action), but at first we prefer to go the route of diplomatic negotiation”, said Interior Minister Carlos Romero. This is due to the way Bolivia is depicted in the game, as arguably Ghost Recon: Wildlands does not put Bolivia in a good light. The game depicts the South American nation as a country overrun by a drug cartel that has turned it into a narco-state, with an American special operations unit being dispatched to put things right in the game’s fictional story. Although Ubisoft insists that the country was chosen due to its “magnificent landscapes and rich culture”. Of course, the Bolivian government could attempt to sue Ubisoft, but arguably this has as much chance of success as former dictator Noriega’s lawsuit against Activision for featuring his likeness in a Call of Duty game, a lawsuit that went nowhere. But here’s hoping Ghost Recon: Wildlands will actually be a great game, and that this controversy dies down soon enough and gamers can enjoy what undoubtedly is one of the most eagerly awaited video games of the year.